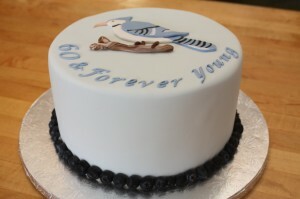 Gift box cakes are an extremely popular way to say Happy Birthday! It’s a gift and a cake in 1 package! 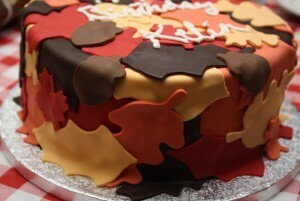 This pumpkin spice cake with cream cheese buttercream was created especially for Jennifer on her special day. 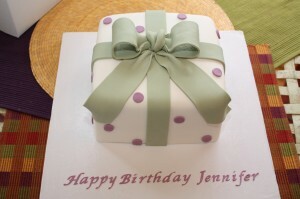 Happy Birthday Jennifer! 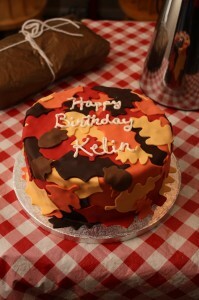 This festive fall cake was created for a special birthday girl who adores autumn. 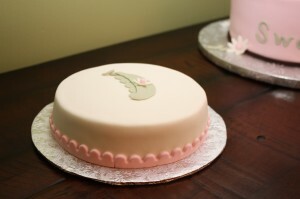 The moist spice cake was covered entirely in vanilla fondant leaves. 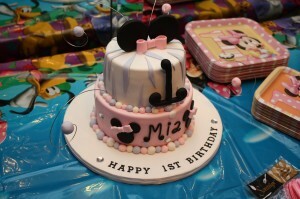 This divalicious mini mouse cake was made for a sweet little diva named Mia. Her family knows how to throw a party! The room was filled with ballons and decorations. 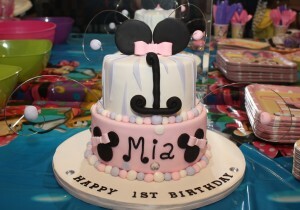 This diva inspired Mini Mouse cake, complete with rhinestones and wire dangles fit right in! Happy Birthday first birthday Mia! 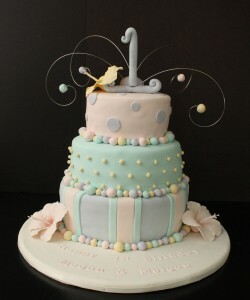 This cutey petutey cake was made for an adorable little girl named Matelyn’s first birthday party. She’s her parents little Sweet Pea! 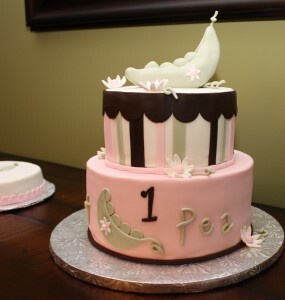 My mom called me Sweet Pea when I was little too, which made it extra fun to make this cake for her. 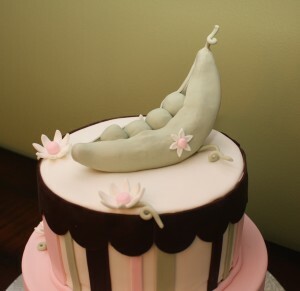 The top tier was chocolate cake with vanilla buttercream. 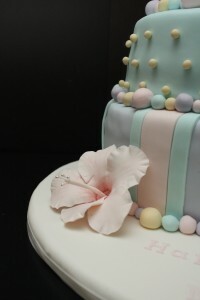 The bottom tier and smash cake were vanilla bean cake with vanilla buttercream. 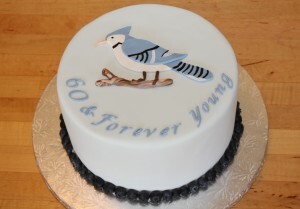 This Blue Jay themed cake was created for a gentleman’s 60th surprise birthday party. 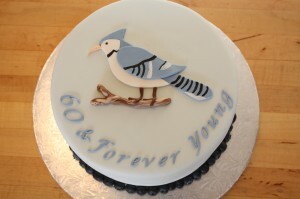 The cake was vanilla bean with vanilla swiss meringue buttercream with fresh blueberries for the filling. 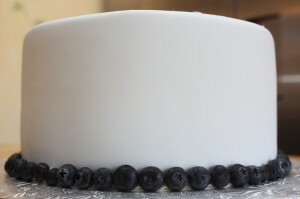 The base of the cake is decorated with fresh blueberries as well! 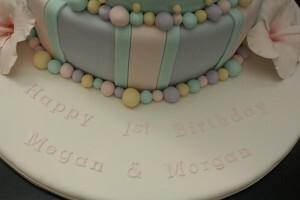 This cake was made for twin girls, Megan and Morgan’s first birthday Luau party. 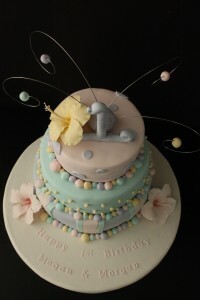 Whimsical, floral and fun. 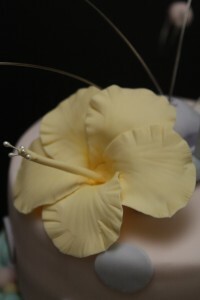 I loved making the hibiscus flowers! This page took 0.361 seconds of computer labor to produce.